happenings of our home: I'm free!!! I'm free at last! I'm free at last! Thank God Almighty, I'm free at last!!!! Okay, so maybe I am being a tad dramatic, but I am pretty excited! It is official. 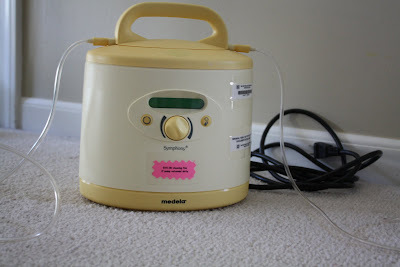 I have broken up with my Medela Symphony Breastpump. I gave breastfeeding a good run- 8 months to be exact (5 months nursing; 3 months pumping). The whole pumping bit- not my thing. I felt a little bit like a dairy cow & a little bit like Linus carrying around that blankie everywhere he went (only it was me & a breastpump). Pumping was hard on me, hard on Jett, & hard on Jared. 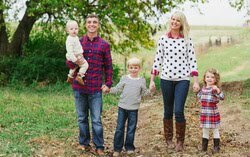 It made our home more stressed than it needed to be & it was time to weigh options. The decision to throw in the towel was not an easy one, but it has ended up being the best for our family. Judge if you must, but we are confident in our decision, & that's what matters! This is so funny! I pumped with Hudson for 7.5 months and I know exactly how you feel! I tried nursing and it was not my thing so I pumped and it was very hard. When Everett came along, I tried again and I only pumped 3 months. It was also very hard and stressful with a 2 year old running around. You are a great momma!